There were 27 anglers fishing this Division 96 1-day qualifier tournament out of the Dreher Island State Park near Prosperity, SC. First place, Rhett Manus had 5 fish weighing 15.56 pounds that was anchored by a kicker fish of 4.29 pounds. Rhett caught his fish on crankbaits and jigs on middle part of the lake. The combined payback for first place and first place option pot gave Rhett $815. Paul Selle was second with 5 fish weighing 15.49 pounds. His sack was anchored by a 4.34-pound kicker fish. He also caught his fish on the middle area of the lake using crankbaits and jigs. Paul took home $509 for second place and second place option pot. 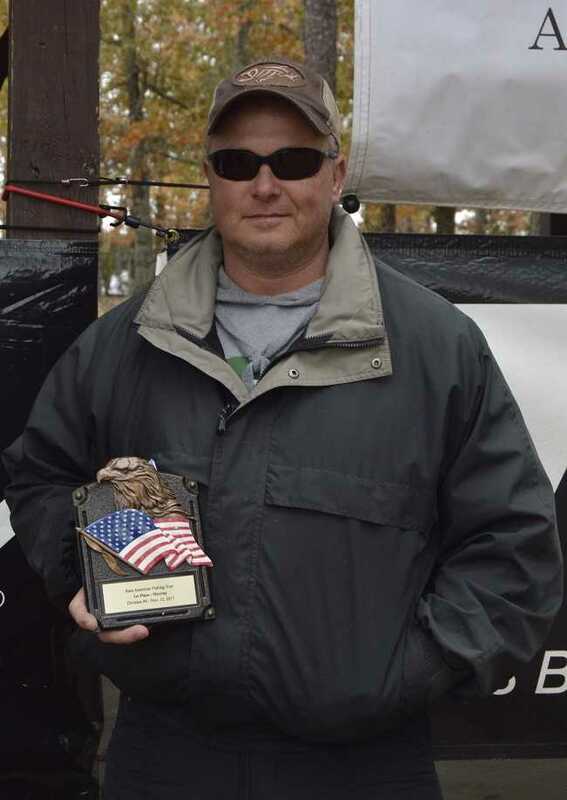 George Berry took third place and the tournament big fish (ALX Rod Big Fish) with 5 fish weighing 15.14 pounds. George caught his fish on spinnerbaits on the upper part of the lake. His tournament big fish was 5.04 pounds. He won a total of $279 for third place and big fish. Fourth place was Matt Mollohan with 5 fish weighing 13.91 pounds. Matt took home $115 for his fourth-place finish. Fifth place was Sean Anderson with 5 fish weighing 13.41 pounds. Sean won a Level Rod Hat. Joey Miller finished sixth with 5 fish weighing 12.45 pounds. Joey won an ALX Rod Hat and a $50 off coupon from ALX Rods. The next Division 96 tournament for Division 96 will be on Lake Greenwood out of Greenwood State Park near Ninety Six, SC on December 3, 2017.